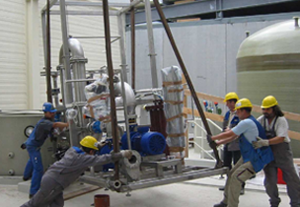 >> installation engineering: tailored complete solutions. 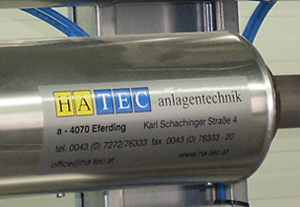 >> dosing systems: from a single pump to complete systems. >> engineering: inventories, design, calculations. >> service: skilled workers, professional, flexible, mobile. We are a service company which is international working in the areas of installation engineering, dispensing technology, engineering, industrial assembly and provision of personnel. Extraordinary quality thinking and years of experience of our employees are the basics for our know-how and high-performance. We are able to realise your projects with flexibility and mobility required because of the specialisation of our company. Our customers benefit from our profound knowledge and experience in all areas of business we are acting. HATEC possesses the plus in know-how from planning to final approval for the sectors paper and pulp industry, food industry, waste water treatment, chemical and pharmaceutical industry. HATEC is developing optimal solutions for your requirements with years of experience, know-how and thrive on developing solutions for challenging tasks. By request we are doing so with perfect inclusion in your production processes and workflows. We are a reliable partner and provide you with support precisely where you need help. A wonderful sporty bike trip on top of the Giselawarte in Lichtenberg nearby Linz on a bright sunshiny day. As HATEC bike team we first attended the Salzkammerguttrophy in 2011 at the distance of 53,5 km.